I’ve decided to join Amy Johnson Crow’s 2019 challenge: 52 Ancestors in 52 Weeks. I haven’t been successful in following through in the past, but some stories are better than none! I hope you find these interesting, and if you think we might be related let me know, and if you are related and/or have more information for me, I would certainly appreciate it. I'd like to meet my Father's Maternal Grandmother, Amanda Newton Tadlock Haggard. She undoubtedly had a difficult life and I'd love to know more about her and her families. Some families on Ancestry add the middle name Catherine, but I don't think I have seen a record with that name on it. Amanda was born in 1844 in Indiana which raises my first set of questions - What was the family or at least her mother, doing in Indiana. In the 1850 Census, Amanda is the third child of four with the first two and the youngest all born in Kentucky. What was your family life like? Was your family Confederate sympathizers? Did you know Carter Tadlock before the War? The second set of questions are: "What was the Civil War like for you? How did you meet your Husband? Why did you decide to move to Texas after the War? Was it difficult for Grandpa as a Confederate soldier to live in Kentucky? I understand you lost two daughters to Yellow Fever on the way to Texas. Were their names Jennetta and Angeline? Family Stories say that Grandpa Carter didn't fully recover from his war injuries and suffered horrible headaches. Was he able to work and support the family fairly well? Did he have what we call Post Traumatic Stress Disorder - Nightmares, Panic attacks, reliving battles while awake? Is he buried in the Kyle, Texas? Did he have a headstone? How did you survive as a Widow with 6 children ages 1 to 16 after Carter died at age 48? The boys were only 11 and 6 when he died, probably not old enough to take over the farm. When and Where did you marry Troy Haggard? Did you Divorce or just go your separate ways? So many questions and so little chance of finding the answers. Amanda must have been a strong woman who survived because she had to. The Civil War, a damaged husband, Birthing 8 children and losing two as toddlers, the death of her husband after 18 years leaving her with 6 children, the death of her oldest daughter as a twenty-nine-year-old young Mother, and the death of another daughter at age 36 who was a mother of six children. Another Marriage and then separation (divorce?) I would love to be able to sit down and interview her - get to know her. This weeks prompt is "Unusual Name." I have a few in my tree, but my Great x3 (Genealogy shorthand for Great, Great, Great) maternal Grandmother's name is the one that has intrigued me over the years. Partly because her surname makes me wonder if I'm related to the feuding Hatfields, but it's mostly because Phariba is so unusual - at least to me. I discovered that there were actually 1.75 million entries that come up if you search for Phariba on Ancestry.com. There are three women on facebook with that name plus two more whose names are in a different language alphabet. One site I looked at said there are less than 2,700 people living today with this name which can also be spelled Fariba. It apparently is of ancient Persian origin and means lovely, charming, and enticing. My Phariba was born in 1791 in Russell County, Virginia to Joseph Hatfield and Rachel Smith. Some people list her name as "Phariba (Phoebe) Hatfield" which may be because of the unusual name and in the 1850 census Ancestry indexed it as "Phoriba" although I think it is a sloppy "a" instead of an "o." I'm not sure where they got the name Phoebe* - maybe just trying to make it fit in today's world. 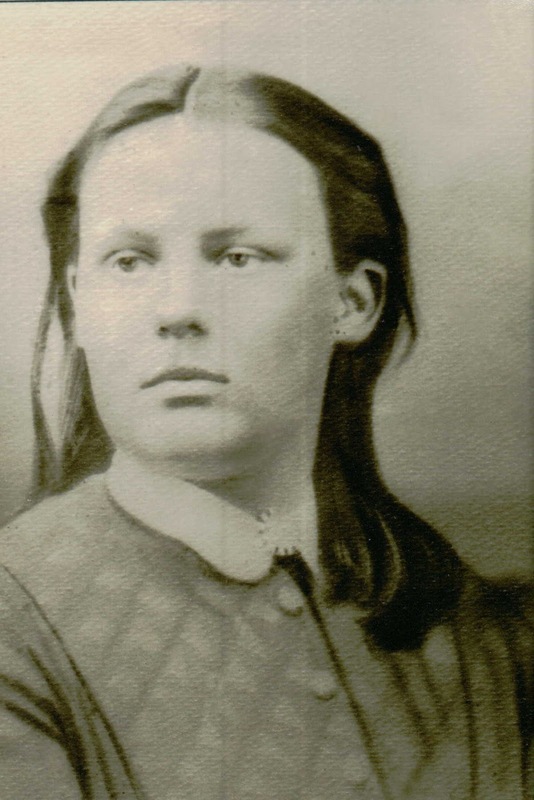 One of Phariba's daughters was Rachel Reed who married Samuel McDonald who were the parents of Dillie McDonald the Great Grandmother I wrote about last week. Her oldest daughter also had the name Phariba, and I had forgotten but I also have an inlaw of a second cousin who died as 10-year-old in 1904. Although these families lived in the same general area of Kentucky and Scott County Tennessee, One set is my Mother's maternal line and the other is in my Mother's paternal line. They are the only ones in my tree at this time. I haven't been able to track her after 1860. I haven't done a lot of research on her since I live so far away and I rely on others research. My son and I are in her DNA Circle along with 202 other probable descendants. 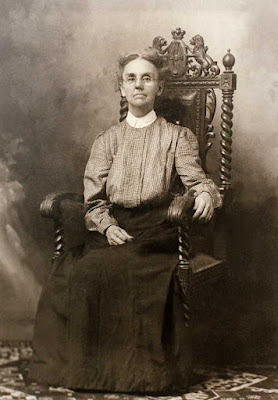 *Some people have her listed as Phoebe Reed in the 1870 Census in Georgia, Blind and living with an apparent son James. I don't think that is her. Findagrave has Phariba dying in 1840, but I don't believe that is correct either. I've messaged the Hatfield descendant that created the memorial so will have to wait for her to respond to find out her source - I could be wrong. Interesting how writing what you know, tends to raise more questions. 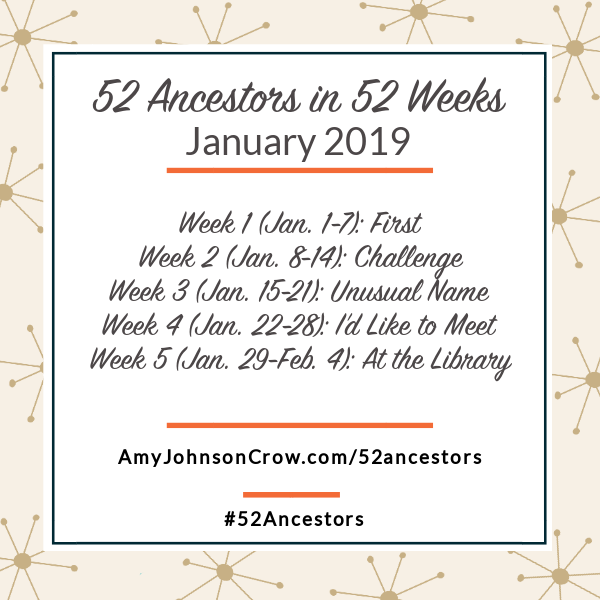 I’ve decided to join Amy Johnson Crow’s 2019 challenge: 52 Ancestors in 52 Weeks. I haven’t been successful in following through in the past, but some stories are better than none! I hope you find these interesting, if you think we might be related let me know, and if you are related and/or have more information for me I would certainly appreciate it. Well, the topic Challenge was too big a challenge for me and I decided to write on one of the topics from last year that I didn't complete. "Favorite Photo" was the one I chose. The challenge rules are extremely flexible with the goal of getting us to write family stories. Amy wrote this in this week's email: "If you haven't done the 52 Ancestors challenge before, you might be a bit surprised at the prompts. Yes, they are vague. That's by design. There is no right or wrong way to interpret the prompts. The goal is to spark ideas for your writing. Each week, I'll give some suggestions, but they are just that — suggestions. You do not need to blog to do this challenge. Some people keep a journal or make scrapbook pages. Some people post a photo on Instagram. Others send an email to family members. The goal is to write something and get those discoveries out of your genealogy software and into a format that others can see and enjoy." This is my favorite photo because I wondered for years if anyone in the family had a photo of her. Her daughter, Verda had a picture of her husband but as far as I knew she didn't have a photo of her Mother. 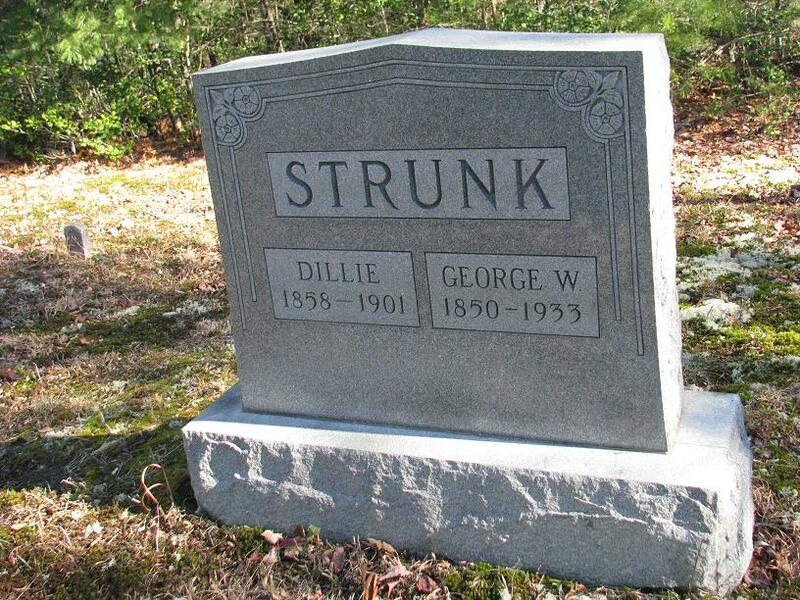 She is my Great Grandmother, Dillie McDonald Strunk. Dillie was a twin - her sister was Millie. She was born in Scott County Tennessee to Samuel and Rebecca Reed McDonald in November of 1858. She married George Washington Strunk in 1875 about a week before her 17th Birthday. George was 25 years old. In 1870, George was living with his parents and was a "clerk in store." By 1880, living in Huntsville, Scott County Tennessee, George was a "Register of Deeds" and they were the parents of three, 2 sons and a daughter. In the 1900 Census, they have moved across the state line into McCreary County Kentucky. George is working as a "Coal Weighmaster" and they have 11 living children. The census record states she is the mother of 11 with 10 living. 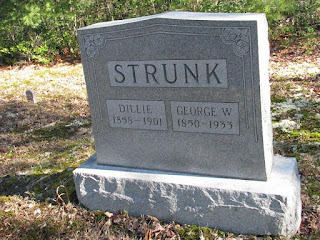 However, there are 11 children listed and I know (99% sure I copied his name and dates from the family Bible back in the 1960's and have since misplaced those hand written notes) that Leslie Lane Strunk was born in 1888 and died in 1889. There was also an Elma Strunk, twin to Velma, b April 1897 and died 30 Nov 1897 - information also from the Family Bible. Dillie died on 17 Jan 1901 at the age of 43. I've never heard of her dying in Childbirth, but it is a possibility even if she was 43 years old. But after 12 pregnancies in 25 years and losing two children, I'm sure she was worn out and susceptible to many diseases. The photo of Dillie was received from my first cousin, Dillie Weddle Sanders daughter in 2016. It was a tremendous surprise. George Washington Strunk Family Bible - Last known in possession of Vera Strunk Green Coleman's Granddaughter. 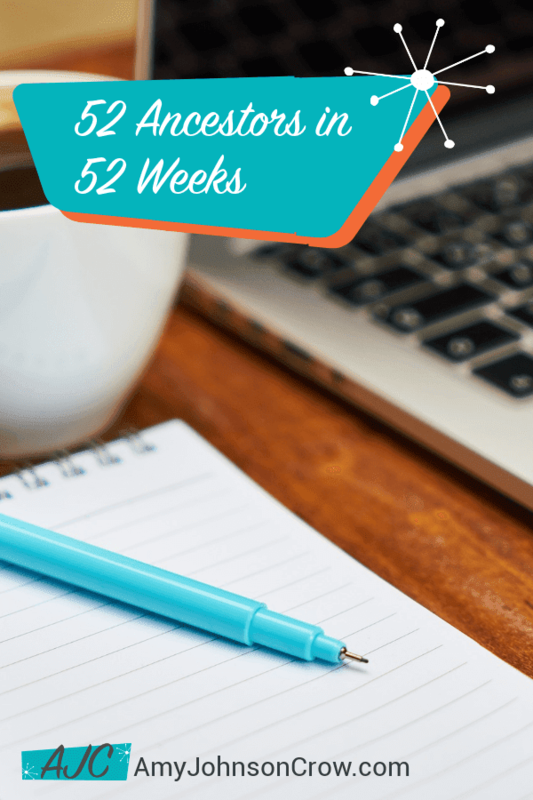 I've decided to join Amy Johnson Crow's 2019 challenge: 52 Ancestors in 52 Weeks. I haven't been successful in following through in the past, but some stories are better than none! I hope you find these interesting, and if you think we might be related, let me know. The first ancestor I met was my Grandma Verda. She was my maternal Grandmother who lived in Dayton, Ohio when I met her at six years of age. We lived in San Diego County in a rural area with a mailing address of El Cajon. I probably should say California, but most of you know that is where San Diego is located. Mother (and I as a teenager and adult) exchanged letters and occasional phone calls with Grandma, but due to the distance, we didn't visit. During the War years Grandma and my Aunt Dillie, Aunt Eleanor, and Uncle Ray came out to visit. 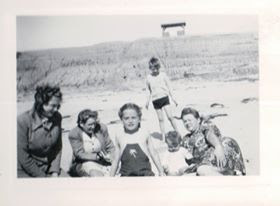 I have a photo of all of us on the beach, and I look like I'm about 1 year old so that would be 1944. As you might guess, I don't remember that meeting. The majority of people today are too young to remember when phone calls were expensive. When families earned $200 - $300 per month, a $2 or $3 phone call was considered for special occasions or emergencies. In case anyone is interested, in the late 60's I worked for several months in the personnel office of our local Sears store. I'll never forget seeing the wage history of one woman who had started working in 1948 and her starting pay was $.50 per hour. Another First, for me recognizing the changes over the years. In 1948, Mother and I traveled to Dayton with some Sailors who were driving back east. Ride Sharing was pretty common back then as well as picking up hitchhikers - especially Sailors in San Diego. That was my first long Road Trip. It was also the first time I visited my Grandmother and met my Step-Grandfather and my Mother's half brother and sister. My Aunt was a petite little girl who was 11 years to my 5, and I was probably almost as tall as she was. I definitely was the following summer when my family drove back to see them again. My Uncle was a typical 13-year-old boy who didn't want to have much to do with his little niece. I also probably embarrassed him by asking him to read to me. That was my First experience with someone with learning difficulties. Dyslexia wasn't a known condition at that time, and I'm sure it caused him a lot of problems. I've never talked to him about it, but I've always believed that was his problem once I learned about dyslexia.